Springsteen to Detroit: "Hello, Ohio!" Bruce Springsteen got lost on the way to Detroit. Rock legend Bruce Springsteen pulled a “Spinal Tap” in front of a packed crowd in Michigan on Friday, repeatedly forgetting what state he was in when making opening shout-outs. "Hello, Ohio!” he yelled to the masses at the Palace of Auburn Hills, the Detroit Free Press reports. The Boss then repeated the gaffe a few more times until, finally, guitarist Steven Van Zandt appeared to whisper a correction in his ear. No worries. 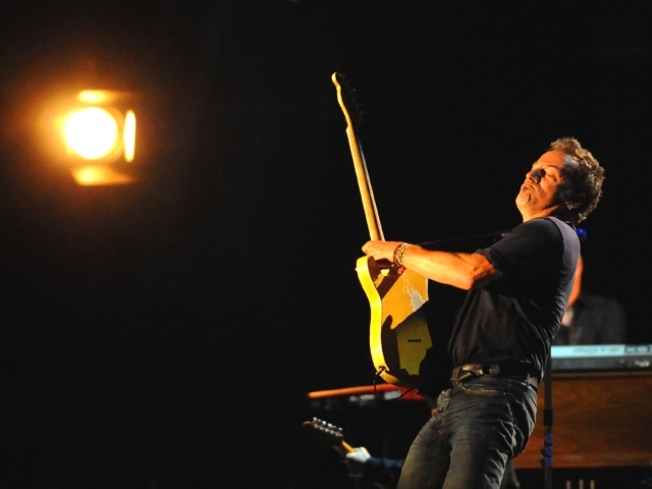 The Detroit crowd forgave him and Springsteen later treated fans to a full run-though of the “Born to Run” album, the Free Press reports. Springsteen’s certainly not the first star to mix up his tour itinerary on stage, a rock cliché lampooned in the faux documentary “This is Spinal Tap!” when a band member yells out “Hello, Cleveland!” heading into a Chicago show. Rapper Kanye West also once lamented his own “Spinal Tap” moment after mistaking Sacramento for Seattle. "I can't believe I bust a spinal tap! It's no excuse for this I wish I could sink in a black whole [sic]," West wrote on his blog at the time.